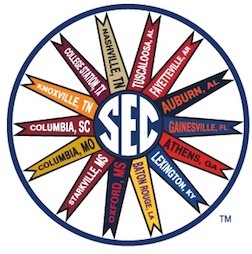 Kick off the season with SEC alums from all 14 schools! Join Southeastern Conference alumni in New York City for the 17th Annual SEC NYC Season Kickoff at The Ainsworth (122 West 26th Street between 6th & 7th Avenues). For the past 16 years, SEC alumni in tri-state area have kicked off the college football season together on the Wednesday before the first games. This year's party at The Ainsworth is set to carry on this annual tradition with beer and bourbon specials and a special whiskey tasting from Clyde Mays. One of the best sports bars in the city, The Ainsworth's 48 HD flat screens will feature highlights from the previous season and great music to get everyone ready for the season ahead. Come get your tailgating skills in shape, meet other SEC alumni and get ready for the start of the most wonderful time of the year!